A new filing with the U.S. Federal Communications Commission has revealed an updated AirPort Extreme wireless base station from Apple is forthcoming. The new hardware was outed this week by the FCC and discovered by Engadget. 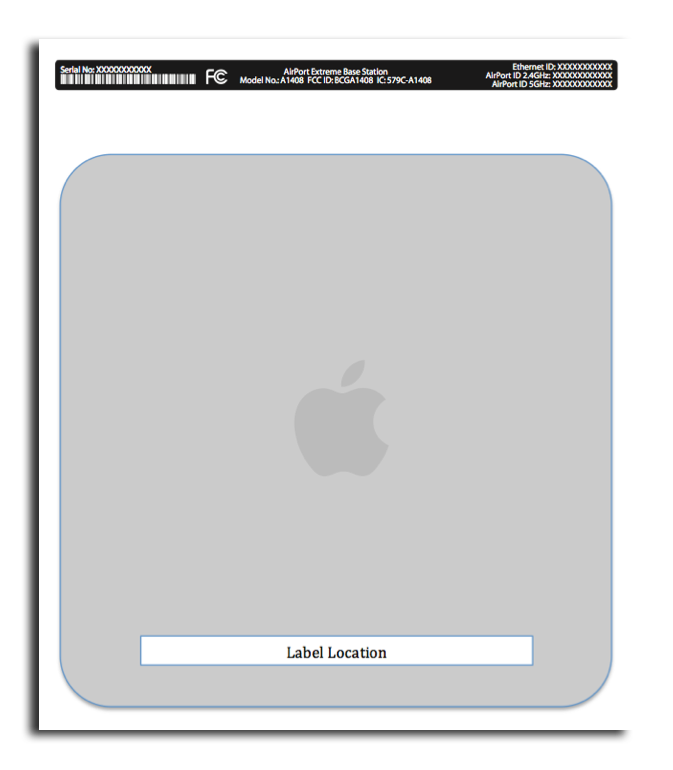 The filing, made by Apple on June 16, shows a 3x3 802.11n access point, dubbed model A1408. The label includes mention of AirPort IDs in both the 2.4GHz and 5GHz range, as well as an Ethernet ID. The hardware carries an FCC ID of BCGA1408. The documents do not reveal what may have changed in the new hardware model, but it's likely the new hardware is set for imminent release given the timing of the FCC filing. In 2009, Apple's then-unannounced Magic Mouse was revealed by the FCC, just after AppleInsider revealed it would be a multi-touch device. A few weeks later, the Magic Mouse was made available by Apple. Last week, Apple updated its AirPort Utility, and the software contains references to a new fourth-generation Time Capsule and fifth-generation AirPort Extreme. No mention of a new Time Capsule was made in the latest FCC filings, but given that stock of the hardware has run dry along with AirPort base stations, it's a likely candidate for a refresh as well. Various rumors have claimed that Apple may shift its base stations to run iOS. This transition could allow for more robust features, like print and media streaming services, integration with iCloud, and cached wireless software updates.